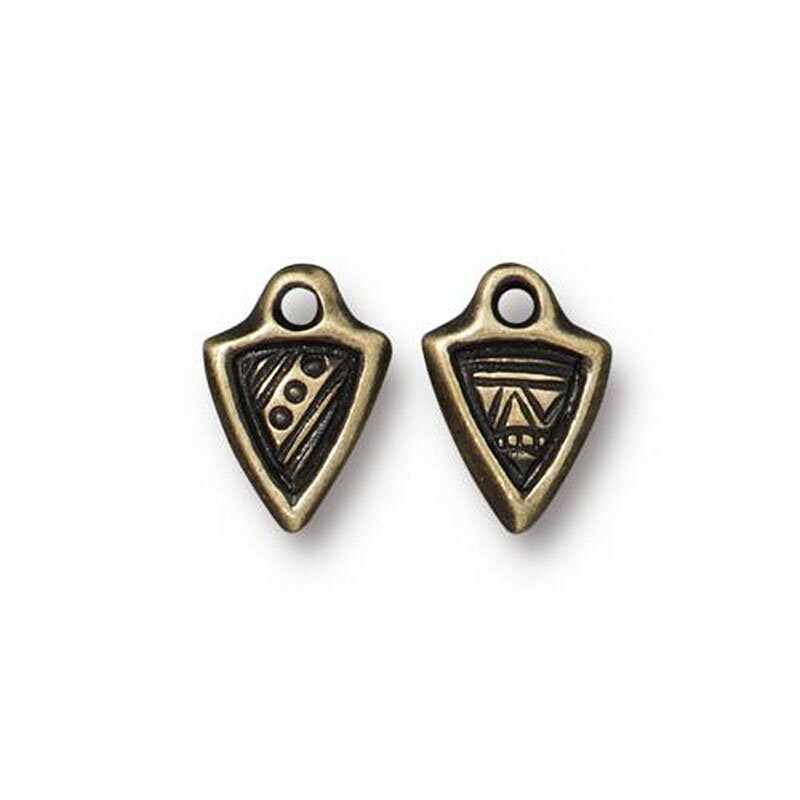 2 Antique Brass or bronze color Small Ethnic Dart Double Sided Charms by TierraCast. Design is different on each side. You will receive two charms.